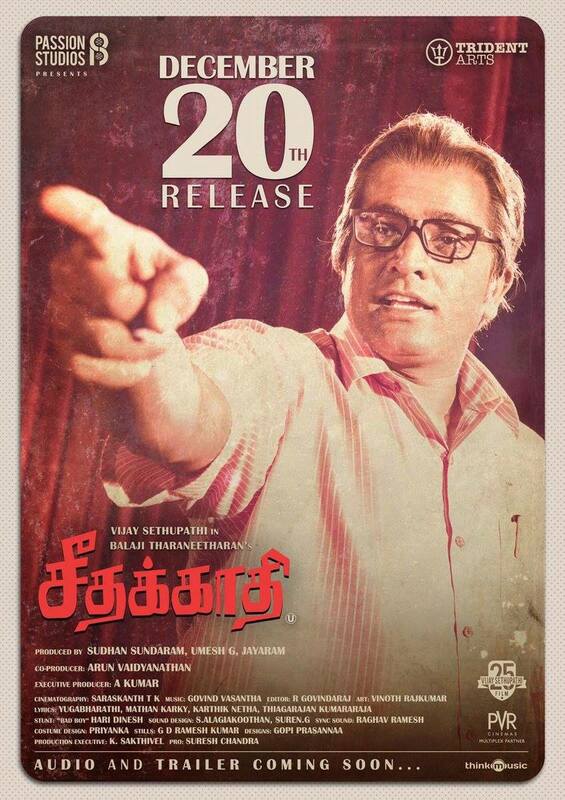 The makers of Vijay Sethupathi’s 25th film Seethakathi have announced that the flick will be released on 20 December. 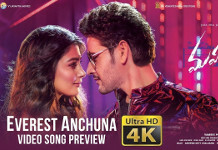 The announcement was made in the third look poster of the movie. The film has been censored with U certificate. The movie is directed by Balaji Tharaneetharan, this combo had already worked in Naduvula Konjam Pakkatha Kaanom. The star cast also includes Ramya Nambeesan, Gayathri and Parvathy. Music for the flick is by Govind Menon.